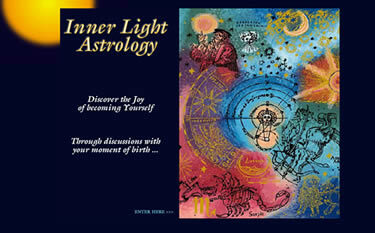 It was important to Inner Light Astrology that its new website capture the spirit of the consultations and specialized information offered by Barbara Junceau who has an extensive background in astrological subjects. We are pleased to report that she was very, very pleased with the result. Do you have a special wish for your website? ... contact us. Unfortunately Inner Light Astrology's website is no longer active on the internet due to the passing of the owner last year. We all miss her.